BEHIND THE PLATE: Gabi Deters of Bowling Green, Mo., catches a ball during a USA Softball Junior Women's National Team game last summer. The high school senior is set to play for the University of Kentucky next fall. Gabi Deters makes her way down the aisle of the Swine Building at the Missouri State Fair. With a brush in one hand and a whip in the other, she leans over a barrow and gently taps along the side of her hog, changing its direction — right, then left — through the crowds. At the show ring, she waits with her hog in a holding area until, finally, the show arena gate opens. Deters puts on her game face, taps the hog one more time and enters the ring. Admittedly, she does not stress in this type of situation. "The animals can sense it," she says. So, Deters remains focused, relaxed and calm. Those character traits, along with a great deal of athleticism, helped this swine showman become a member of the USA Softball Junior Women's National Team. Deters started showing pigs as her first 4-H swine project in the Hartford Go-Getters 4-H Club. "My dad had pigs growing up, so when I became old enough I started taking care of them and showing them," the high school senior says. She spent days washing and walking her pigs before the county and state fairs. 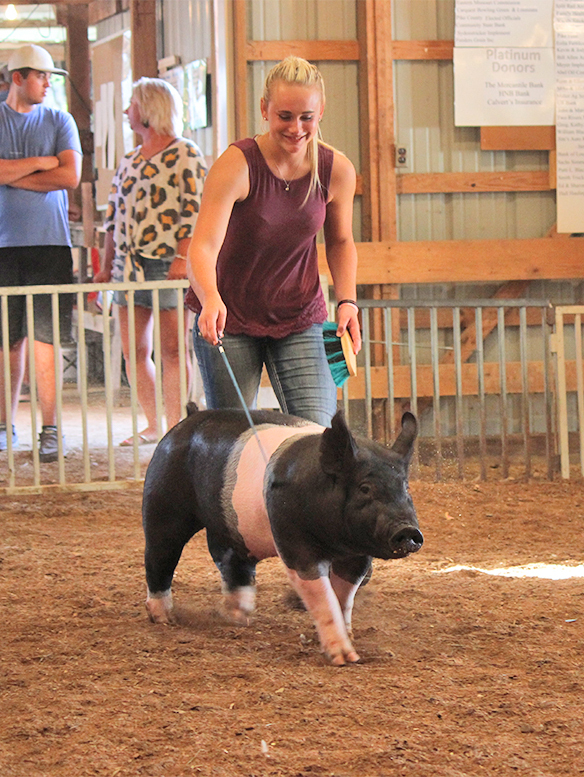 TIME FOR THE SHOW: Gabi Deters walks her barrow around the Pike County fair show arena this summer. Deters missed last year’s county fair as she was competing with the USA Softball Junior Women's National Team. "It taught me a lot about responsibility," Deters says. "I had to make caring for my animals a priority. But I loved it." It wasn’t long before Deters learned how to juggle responsibilities. At just 5-years-old, Deters took to softball. "I played T-ball as a kid, then in the local Khoury League," she says. But by age 10, her skill level progressed to the point where she tried out and made a traveling softball team. She settled in behind home plate as a catcher. It was somewhat of a family tradition. "Both my mom and dad were catchers," Deters says. She uses the same approach when catching as she does when showing. "I don’t stress out," she says. "If I appear stressed, my pitcher then stresses. It is best to just be relaxed behind the plate." 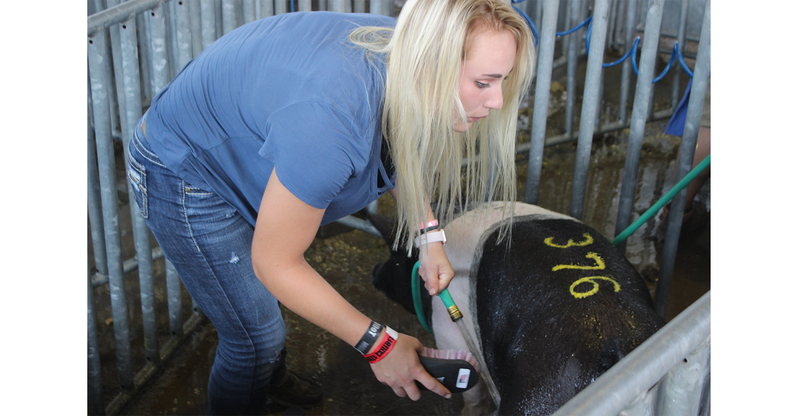 HELPING OTHERS: While Gabi Deters shows her own pigs at the Missouri State Fair, she takes time to help younger exhibitors learn by teaching them when and how to wash and walk their hogs. By her sophomore year in high school, Deters was making a name for herself in Missouri softball circles. She was invited to the Team USA Softball Selection Camp. Deters was one of the youngest in attendance. "All of the girls there were already in or committed to go to a college program," she says. "They were good. These girls don’t make mistakes." The camp was intense. "There were college coaches from all across the country watching you," she says. At the end of the camp, a few attendees selected to be on the 2017 USA Softball Junior Women's National Team. Deters made the shortlist. Last summer, she spent time playing against young women from countries like Japan, Canada and Mexico. "It was a great opportunity," she says. "I learned so much and it was fun to meet people from other countries." The experience left Deters with a desire to be a part of the USA Women’s National Team. For now, the high school senior, who has already committed to the University of Kentucky to play softball in the fall of 2019, remains focused on this season. Last year, Bowling Green won the state title. "We graduated five from that group," she says. But that does not discourage her. "Everyone wants to get back to state." 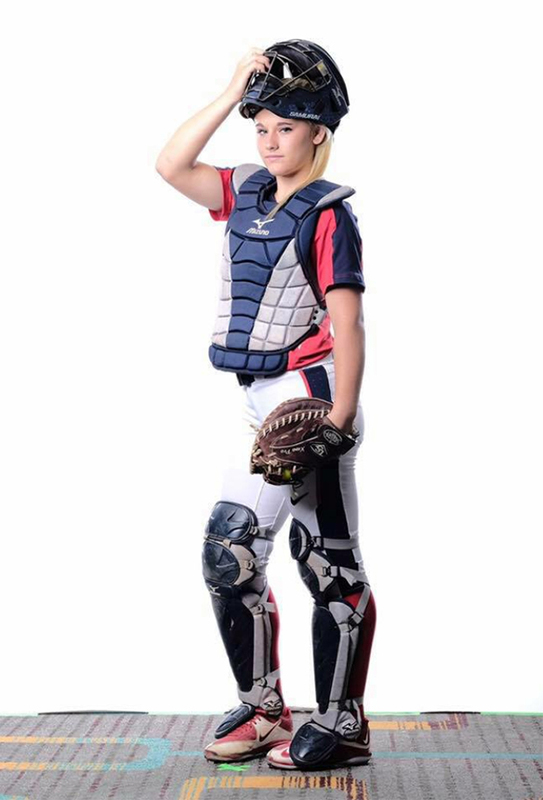 READY TO REPRESENT: Gabi Deters is proud to where the uniform of the USA Softball Junior Women's National Team. She says the focus required on the softball field is similar to livestock show ring. With a catcher’s mask in one hand and a softball glove in the other, Deters takes to the field. She squats down behind home plate to warm up the pitcher. With slight hand motions, she directs the pitcher’s movement of the ball — up, then down — inside the strike zone. With one last pitch, she catches it, jumps up and quickly delivers the ball, like a warning shot, to second base. Her one time to let competitors on deck know that stealing is not wise. With one long breath, she pulls the mask down over her face. Exhaling, Deters is focused, relaxed and calm.